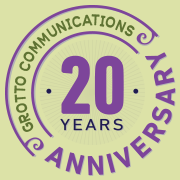 Marketing Communications Consultants | Grotto Communications Inc.
Get pro marketing help to expand your reach. Marketing communications experts specializing in growing companies. Take a look at some of our work, then get in touch so we can help.